By Brooke Faulkner, freelance writer. With new technology comes to new terminologies, like cybersecurity. Unfortunately, this new technology also spawns the creation of new methods to bypass security measures. And while data breach may not be a new term or even a new problem, in 2019, it’s become a massive issue, particularly in the healthcare industry. In 2015 alone, there were more than 750 cyber data breaches, with the top seven cumulatively involving 193 million personal records that were available for hackers to use for fraudulent activities and identity theft. The top three data breaches that year were all in the healthcare industry. Healthcare records are full of highly sensitive information, from social security numbers and other personal data to medical histories and health insurance information — everything a hacker needs to steal someone’s identity. But besides the wealth of juicy details these records include, it’s the vulnerability that exists in the industry that attracts trouble. Cybersecurity breaches in healthcare were a problem in 2015. And it’s a problem that has grown in size and frequency since. 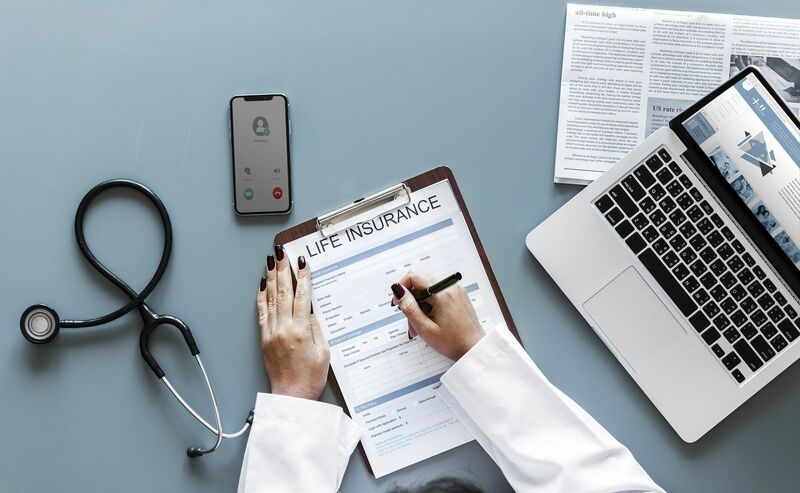 Besides being a repository of vital information that hackers need, the healthcare industry has been particularly vulnerable because of the weak link philosophy. You’ve probably heard that a chain is only as strong as its weakest link. This is also true when it comes to cybersecurity. And it’s something hackers prey on. According to a 2016 Healthcare Industry Cybersecurity Report, the healthcare industry had the fifth highest amount of ransomware counts of all industries. The report also stated that more than 77 percent of the entire industry was infected with malware. According to the report, the most prevalent weaknesses existed in “health treatment centers, insurance providers, manufacturers and hospitals.” In other words, everywhere. The authors of the report mention how the industry is facing pressure from both sides ? from hackers who specifically target them and employ different methods in doing so, and from regulatory agencies who are trying to prevent this from happening. The problem doesn’t rest with the IT departments in most cases, but rather with the employees who aren’t prioritizing, or even aware of, security issues and with those who have been tasked with training and managing them. “The low social engineering scores,” the report states, “among a multitude of healthcare organizations show that security awareness and employee training are likely not sufficient and this poses a real risk to those organizations.” Hackers know that these employees represent low-hanging fruit. This is why they’ve become such a target. The main risks, according to the report, are the wireless devices so prevalent in the industry and the amount of information that’s exchanged through them. While these devices are beneficial for their speed and access to information, the way in which they’ve been mishandled and implemented is resulting in added security risks. A survey by Accenture in February of 2017 revealed that healthcare security breaches affect 26 percent of U.S. consumers. And 50 percent of those had their identity stolen, resulting in an average out-of-pocket cost of $2,500 per person. That means for every eight people, one person has had their identity stolen as a result of a healthcare data breach. But perhaps the greater aspect of this problem is reach, as in nearly everyone has health records in the system. In the largest healthcare data breach to date, Anthem Blue Cross, in January of 2015, had 78.8 million patient records stolen. This included information such as dates of birth, addresses, and social security numbers ? the information hackers most need to steal someone’s identity. In the case of the Anthem Blue Cross breach, consumers weren’t told about the breach by law enforcement or Anthem themselves. They found out the hard way: by noticing something was wrong on their bank and credit card statements. The need to take extra precautions when dealing with sensitive healthcare data is obvious. But if the problem was easy to solve, it wouldn’t be a problem to begin with. And unfortunately, for every zig in security measures, there are a hundred hackers ready to zag. Assess the larger risk as it pertains to the entire system, rather than relying on specific vulnerability analyses. Always know where your sensitive data is being stored. Improve training across the board. Impart the risks and precautions to employees, and make certain all understand policies and procedures before handling any consumer data. Address the issue of third-party vendors. Make sure they’re handling your sensitive data properly. Reinforce the infrastructure, including all software, with extra cybersecurity measures. While the theft of information that leads to someone’s identity being stolen is the main risk, it isn’t the only risk. When sensitive medical conditions are made public, it can affect a person’s ability to get or keep a job and their professional and personal relationships. The impact on businesses and organizations is also dire when leaks occur, as their trust, credibility, and reputation suffer dramatically. They also open themselves up to the possibility of massive fines and lengthy investigations. The FDA recently issued new guidelines for securing data in medical devices, such as smartphone apps. This is especially important, as the HIPPA (Health Insurance Portability and Accountability Act) Journal has stated that 91 percent of cyberattacks are the result of personalized phishing emails sent to employees. It’s important to remember the findings in the 2016 Healthcare Industry Cybersecurity Report referenced earlier, as in how the training, and management of training, represented the weakest link in the healthcare system. Keep in mind how most breaches occur through the use of personal devices. 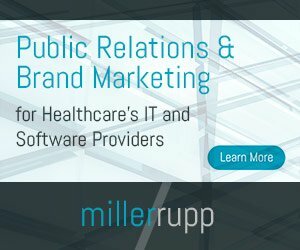 “For hospitals and major healthcare treatment centers,” the report states, “the security departments should be proactive and make sure that their networks are segmented to account for IoT security.” The internet of things includes those devices, again like smartphones, that are most vulnerable to attack. It’s important to remember that when it comes to electronic health records, there is always an electronic trail that tells you who accesses what information and when that information was accessed. This alone should help eliminate threats from inside the system involving employees who knowingly, or unknowingly, were responsible for a breach in cybersecurity. Through better employee training programs, particularly as it relates to IoT medical devices, and better management of employees to make certain they’re adhering to company protocol, healthcare companies can eliminate their greatest area of vulnerability. And maybe even steer the majority of hackers away from the healthcare industry.